OUR HISTORY | Geelong Family History Group Inc. 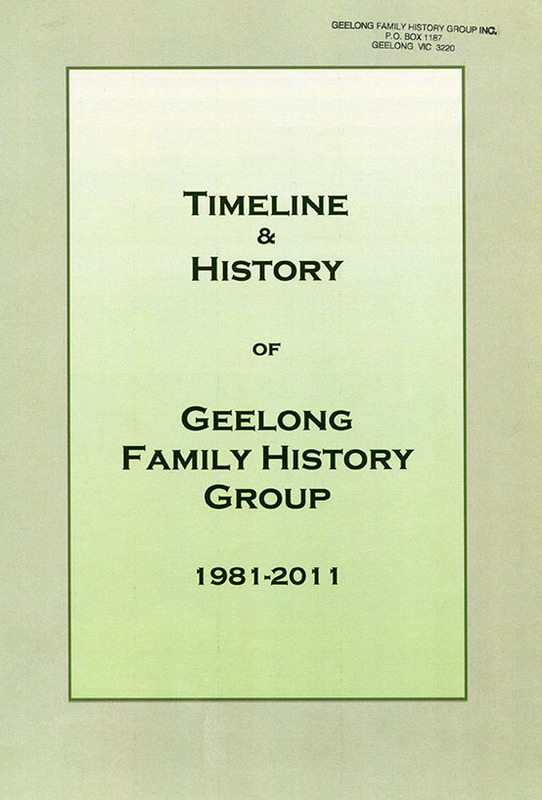 In 2012 the Geelong Family History Group published Timeline & History of Geelong Family History Group 1981-2011. It was diligently compiled by Val England – working through 30 years of minutes books and references. Susie Zada issued a challenge to a large group of members at a Geelong & District Historical Association meeting – we were all historians intent on preserving the records of our districts and their people and yet nobody had written a history of any of the very groups that now form that association. Why not write our group histories so that future genealogists might appreciate the number and diversity of those who went before them. This record is dedicated to all the early members of the Geelong Family History Group some of whom have passed away to join their ancestors, some of whom have moved to other places to continue the work and many of whom are still faithful members who encourage the continuation of our efforts to transcribe, educate the community and enjoy the effort as much as they did. Many spent hundreds of hours wading through knee-deep grass to transcribe headstones, and poring over dusty files, rate books, wills and old newspapers in cold and cramped conditions to compile the indexes and acquire the microfiche records and books that have made our job so much easier today. I apologise for any omissions. I am aware that many other people have made a contribution to our group but to try to name each one is an impossible task in this brief history. A history is only as good as the records that are available and the wonderful memories of the few people who were there in the beginning. Thank you to all those members and past members who contributed photographs, records and accounts of past events. May our group live on and thrive to discover, inform and encourage future family historians. Now that we have a more modern and flexible web site one of our priorities is to record and update much of this history. Val put in all the hard work documenting the first 30 years – now we will endeavour to keep it up-to-date. Contributors – committee members and officers.